I Finally upgraded from the nanoPAD to an Akai MPD24. I really love this thing. Geeky Gigs #9 is a bit of a hodgepodge mix up of styles, kinda trap, kinda vaporwave, kinda trip hop, and just kinda weird. I cut up son Janet Jackson, 808, casio rapman, my own real drum samples, some vinyl drum samples and some synth parts and bass lines using the UVI digital sensations and Plastique VST. Everything is live sequenced and triggered in Ableton Live Intro. The end is a bit of improv. Hope you like it! 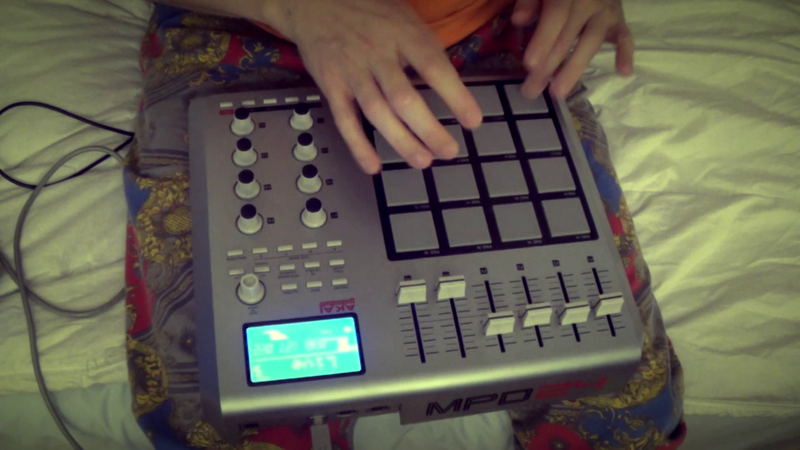 This entry was posted in Demos, drums, Electronic Music, Music Production, Video and tagged akai mpd24, akai mpd24 drivers, akai mpd24 ebay, akai mpd24 manual, akai mpd24 mercadolibre, akai mpd24 precio, akai mpd24 segunda mano, dj lessons, dj performance, dj tools, finger drumming, finger drumming exercises, finger drumming lessons, finger drumming technique, finger drumming tutorial, trap music, trap music 2015, trap music artists, trap music download, trap music mix 2014, trip hop, trip hop bands, trip hop blogspot, trip hop radio, vaporwave, vaporwave music, vaporwave que es, vaporwave tumblr on April 5, 2015 by DemonicSweaters.